This 31 page makeover is one of my favourite things. It takes Katie from a place of being frustrated and confused about her niche with how to articulate what she does to a place of immense and powerful clarity. And it shows you exactly how she did it. You also get to hear what her clients had to say about it). 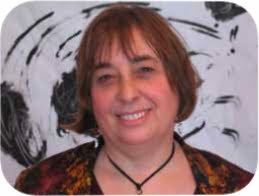 Hayley Rothenberg grew up in England amongst the hustle and bustle of markets and bazarres. She was raised to sniff out a bargain and haggle the best price. When she moved to Canada she couldn’t find many markets like the one she’d grown up with anymore. 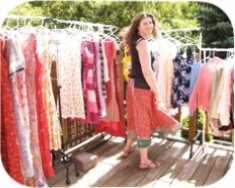 So, one day she decided to start a consignment clothing business – with a twist – she’d sell it out of her backyard! The events would be women only, tea would be served and a little oasis would be created. But what to call it? What you’ll read here, in 16 short pages, is the result of what she got out of her pre-weekend homework with me as she and I batted ideas back and forth. This makeover is a great example of the power of an authentic story and a good name for a business. In just 11 pages we take Sara Davies from an ad that made many of the classic blunders made by holistic practitioners in their ads to a new ad this is profoundly clearer and more compelling. Her first poster is vague and ‘suggestive’ in ways she wasn’t intending. The second ad reads with more warmth and heart. Two of my favourite clients. When I first sat down with Lucy and Ed the challenge they faced became immediately clear. No one knows what the hell an osteopath is. They don’t know what goes into it or if it’s credible. At 31 pages this is one of my most extensive makeovers. Far from being a complete marketing sales letter – this has become a sort of ‘core marketing document’ that they go back to again and again. I think you’ll be amazed at some of what they came up with. 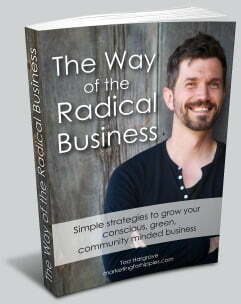 Key lessons here – details, stories and specifics are incredibly compelling. When I sat down with the good people of Backyard Bounty and read over their flyer at a local food cafe in Guelph, the problem jumped out. Their brochure was all about them. 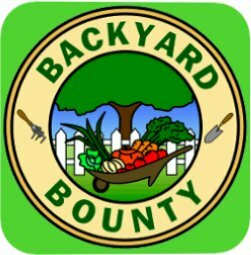 Like all too many brochure and ads it started with the dreaded words, “Backyard Bounty is . . .” Plus it was full of hard to understand jargon like ‘micro-farming venture’. I knew that we needed to reorient the entire piece from the standpoint of ‘what’s in it for the customer?’ This is one of my favourite pieces of work illustrating the power in speaking to the self interest in people in simple language – even when it’s something that’s seemingly selfless and all about community service. A nine page makeover. So, I’m on the board of a super cool organization in Edmonton called Live Local. It’s all about helping make it easier for Edmontonians to get what they need locally – rather than having it shipped from around the world. The woman running it, ironically, is the woman who ran the merger of KFC and TacoBell across Canada. I’m glad she’s on our side now. I’m also the co-founder and c0-director of Edmontonians Supporting a Green Economy. We have a newsletter that comes out twice a month – basically an events listing of everything cool happening in the green and local scene. People really love it But, every once in a while, there’s a project so cool that I feel like everybody HAS to know about it. One of those is a project of Live Local: The Good Food Box. I wanted to send an email to the e-sage list (over 2,000 locals) focused 100% on the Good Food Box. So, I asked them to send me some words to send out. But what they sent me felt like it wasn’t a fit. Too many big words and too much jargon – all about them and not about what I’m getting as a client. 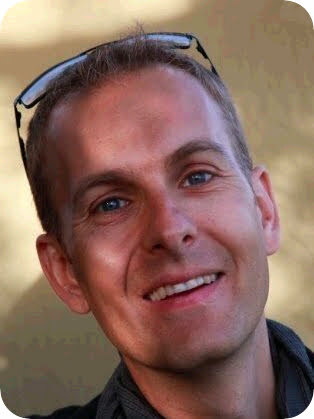 Makeover Case Study #7 – The Cool Vegetarian – Jeff Golfman Shows You How to Blog. 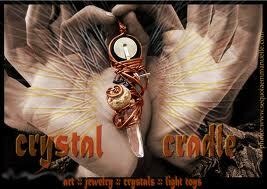 Makeover Case Study #8 – Crystal Cradle – awesome crystal jewelry website homepage gets a facelift. You’re about to read an offer makeover for my dear friends at www.crystalcradle.ca who came to me seeking feedback on their homepage of their website. I’ve had their jewelry for years and am an incredible fan of the attention it gets me when I wear it. In this makeover, we look at how to weave in themes of safety, story telling and relevance together.